First off, I can’t believe it is already July! Where is this year going? I seem to be short on time these days: juggling a full time job, trying to keep the blog going and just blocking and tackling everything else life is throwing at me. All things consider I still find so much joy in crafting, even in the simplest of things. 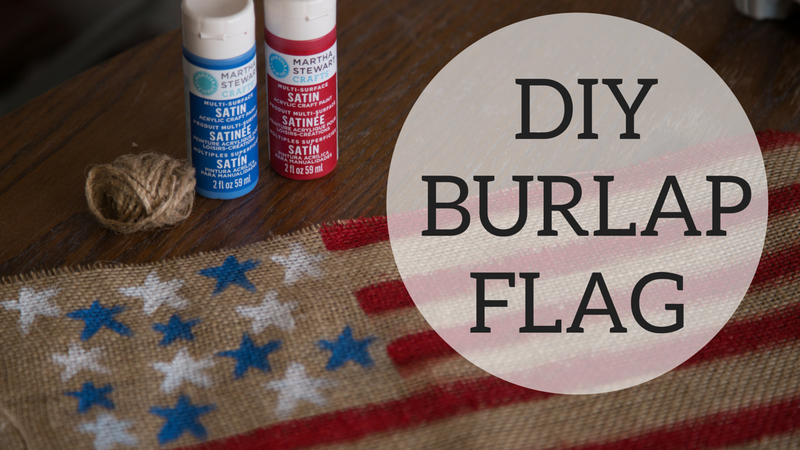 I don’t think this burlap flag craft could be any simpler. Burlap is one of my favorite materials to work with and it is so inexpensive!